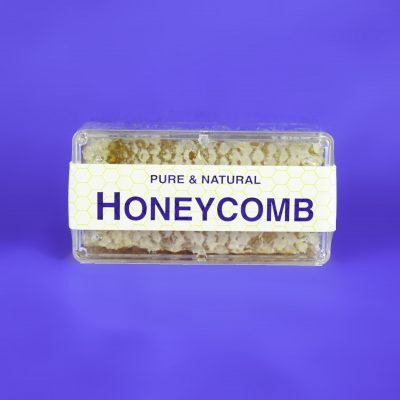 A cube of honeycomb dripping with honey. Approximately 2.8 oz. 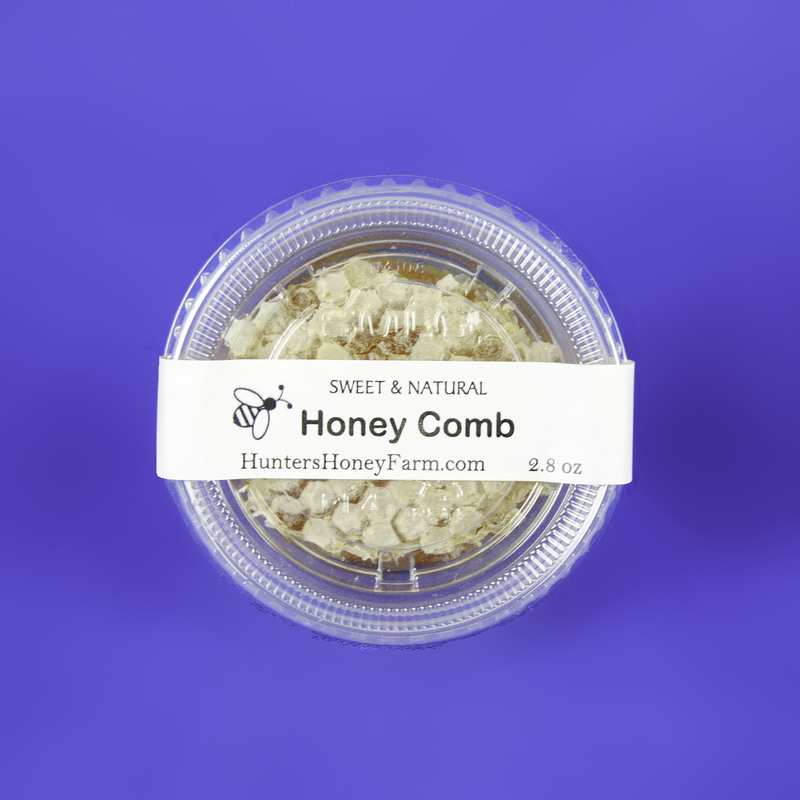 Pure & natural honeycomb cut right out of the hive and placed in a container. 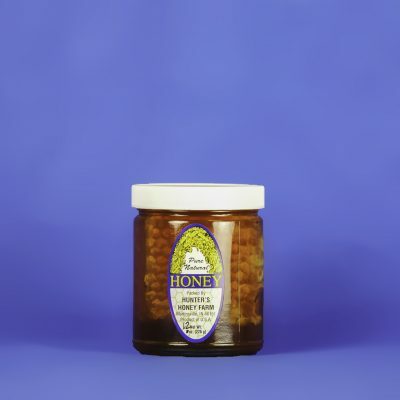 One of our favorite ways to enjoy Indiana comb honey is to spread it on toast, bagels, or biscuits and eat them slowly to savor the goodness. 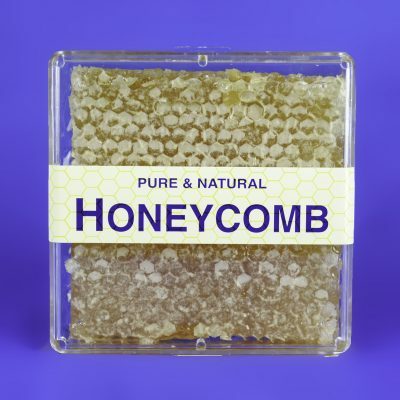 Honey comb acts as a roughage to aid the digestive system.